You always dreamed of opening your own place and serving your clientele the very freshest of meals. Finally, after years of hard work, you have realized your dream and opened your very own restaurant! But your dream quickly became a nightmare when all your customers were monsters! Literally! Oh, well. No one said the restaurant business was easy and never forget: the customer is always right, no matter how wrong their order is. 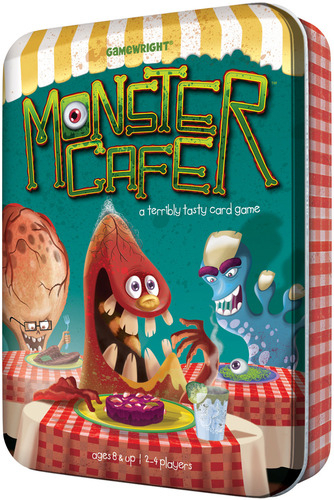 Monster Café, designed by Roland L. Tesh, Garret J. Donner, Michael S. Steer, and published by Gamewright, is comprised of 60 Monster cards (which includes 6 “Lemon Sorbet” and 9 different monster types, 6 monsters per type) and 16 Table cards (8 different meal types, 2 meals per type). The cards are small and easy for Child Geeks to grasp. They are also colorful and flexible. I question the game’s overall durability due to the thinness of the cards, but have not yet had any issues. Note: How the game is set up is dependent on the number of players. Described here is the game set up steps for a 4-player game. See “Game Variants” section below for details on how the game differs with 3 and 2 players. To set up the game, first separate the cards into two different piles using the card backs as a guide. When done, you should have a pile for the Monster cards and a pile for the Table cards. Shuffle both piles to create two different decks and place them face-down. Second, deal 4 Table cards, face-up, to the playing area. Leave enough room around the Table cards to allow 4 Monster Cards to be played to them (one Monster card per side). Place the remaining Table cards to one side of the playing area, face-down. Third, deal to each player 1 Monster card, face-up. 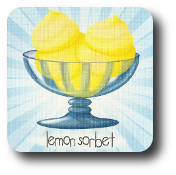 If the player is dealt a “Lemon Sorbet”, place the card on the bottom of the Monster deck and deal them a new Monster card. When completed, all players should have 1 Monster card, face-up, in front of them. Place the Monster deck in the center of the playing area (surrounded by the Table cards), face-down, and within easy reach of all the players. This is the Monster draw deck for the duration of the game. Leave room next to the draw deck for a discard pile. That’s it for game set up. Determine who will go first and begin! Monster Café is played in 4 rounds. Each round is comprised of players taking turns. On a player’s turn, they will take one of the following actions. This action allows the player to draw the top-most card from the Monster draw deck and place the monster next to any open seat at any Table card currently face-up in the middle of the playing area. This is referred to as “seating the monster”. Note that each Monster card depicts not only the horrific fiend who is looking to dine, but also the monster’s preferred dish of choice. The image shown might match an image of the same dish currently offered at one of the face-up Table cards. A player can place the Monster card at any table they like as long as there is an open seat. A Table card can only seat a maximum of 4 Monster cards (one Monster card per side of the square Table card). If the Table card has 4 Monster cards surrounding it, the table is considered “fully seated” and no more Monster cards can be played to it. If the player should draw the dreaded “Lemon Sorbet” (a wonderfully sweet dish that no monster could possibly stomach), the player reviews any Monster cards they have collected so far and removes all the Monster cards of one type (player’s choice). The removed Monster cards and the “Lemon Sorbet” are placed in the discard pile. 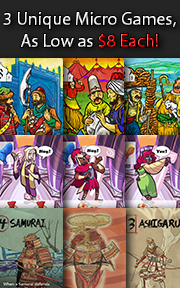 This completes the player’s turn and the next player in turn order sequence now goes. This action allows the player to take a face-up Table card that has at least 1 Monster card seated to it. Both the Table and any seated Monster cards are claimed by the player and placed in front of them, face-up. This ends the player’s turn and locks them out for the duration of the round. The next player in turn order sequence now goes. Note that this action is the only one a player can take if all the Table cards are fully seated. On the rare occasion that all the Monster cards are either collected, played to a table, or discarded (leaving none in the draw deck), the player can only clear tables. Normally, once a player takes one of the two actions above, their turn is over. In the case of clearing a table, a player’s turn is over for the duration of the round. However, if it’s the player’s turn and they are the only one left in the round who can take an action (because the other players have cleared a table), they can continue to draw Monster cards and seat them until the Table card is either fully seated, forced to clear a Table card, or they decide to clear the table. The round ends as soon as all the Table cards and their seated Monster cards are claimed. Again, only one Table card can be claimed per player per round. Claimed Table and Monster cards are kept in a pile, face-up, in front of their owning player. A new round now begins! Four new Table cards are drawn and placed in the center of the playing area. The player who cleared the last Table card in the previous round is the first player in the new round. After the fourth round ends, the game is over and it’s time to calculate each players’ final score. Using the above, the following example shows how one player determined their total points and final score for the game. After calculating all the players’ scores, the player with the most points wins the game! The above game play rules are used regardless of the number of players in the game. The game set up is not. Summarized here are the differences. For a 3-player game, remove 2 monster types and the matching Table cards the removed monster types would enjoy eating. For example, all 6 “Brain Eater” Monster cards, all 6 “Dust Bunny Eater” Monster cards, all 2 “Boiled Brains” Table cards, and all 2 “Deviled Dust Bunnies” Table cards. In total, 16 cards will be removed. These cards are set aside and out for the duration of the game. When playing the Table cards, only ever play 3 Table cards per round. For a 2-player game, remove 16 cards from play as described above for a 3-player game, but continue to deal out 3 Table cards, despite there only being 2 players. During any round, one Table card will be a “dummy” that both players can add cards to, but neither player might clear. When both players have cleared one table each during a round, the round ends as normal, but all the Monster cards and the Table card that was not cleared are placed in the discard pile. 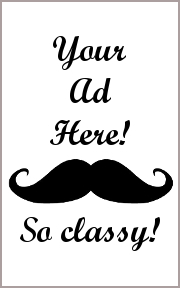 To learn more about Monster Café, visit the game’s web page. Nothing about Monster Café leads me to believe it will be approved by the Gamer Geeks. It’s too simple and way too light to even show up a the faintest of “blips” on their elitist radar. For the Parent and Child Geeks, I think the game will do very well. At least, at the family gaming table. I don’t see the Parent Geeks playing Monster Café with their peers when their Child Geeks are asleep or not at the gaming table. As such, I predict we’ll see strong approval endorsements from the Child Geeks, supportive approval endorsements from the Parent Geeks, and flat-out rejections from the Gamer Geeks. Teaching Monster Café shouldn’t take you any longer than a few minutes. Just make certain you show several different examples of Monster cards and Table cards so there is no misunderstanding about how the two are paired together. I also suggest you go over a quick example of how the game is scored. Failure to do so might confuse some of your players and foster negativity. This is especially true if players conclude they didn’t know how they should properly collect and match Monster cards to Table cards in the first place. 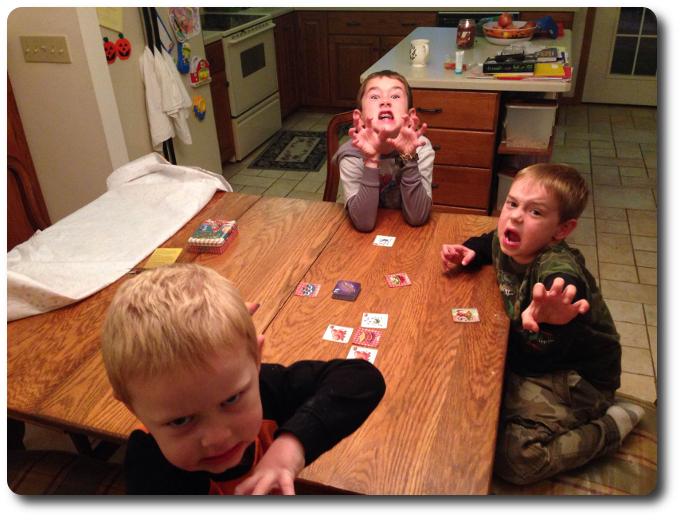 After teaching the game to all three of my Child Geeks, I asked them their thoughts on Monster Café so far. While Monster Café is going to be out of my 4-year-old’s reach, my 6-year-old will have no problem playing the game with little to no help. I should note that some of the Monster cards do depict some very strange-looking creatures with sharp teeth, angry eyes, and grotesque features, but none of the images are violent or particular horrific. My 6-year-old, who is usually very sensitive to anything that is particularly monsterish, enjoyed looking through the Monster cards and didn’t indicate any discomfort whatsoever. Let’s play Monster Café and see if we enjoy what we are served or we demand a refund. BEHOLD! Three little geek “monsters” who are having a frightfully good time! The Parent Geeks were less enamored by the game, of course, but had a lot of fun with it when playing with their Child Geeks. According to one Parent Geek, “There is enough of a game here to keep me interested, but I don’t think I’d ever want to play this with just adults.” All the Parent Geeks agreed and found Monster Café to be an excellent game at their family gaming table. Even the non-gamers thought the game was fun, but only when they played it with the Child Geeks. When the game was put away and the Child Geeks went off to entertain themselves, the Parent Geeks all voted to approve Monster Café and only wanted to play it again when their Child Geeks asked them to. The Gamer Geeks, surprisingly enough, rather liked how the game was scored, but disliked everything else about it. According to one Gamer Geek, “The game has a really interesting scoring rule that forces the smart player to keep track of all their cards collected and those collected by their opponents, but everything else is way too simple.” Very true. A player’s final score is dependent on how much time and attention they put into their card plays and what they ultimately decide to collect. This suggested, to the Gamer Geeks, that Monster Café did require some form of strategy and tactics, but nothing deep or meaningful enough to keep their interest. All the Gamer Geeks agreed that the game was a good one for the Child Geeks, but never once suggested they wanted to play it ever again. Monster Café is a fun game to play with the Child Geeks, fun to play with Parent Geeks when the Child Geeks are part of the game, and not at all entertaining with gaming elitists. Which, honestly, is not a surprise. Gamewright has published a fun little card game here that is intended for families. The game is fast to set up and provides just enough depth to make the gaming experience interesting and worthwhile. Inexperienced players can do just as well as experienced players, in theory, but victory will ultimately go to the player who is paying the most attention. Monster Café can start to feel a bit repetitive if played a lot. It won’t be too long before Child Geeks will want to play a game that is perceived to be a bit more challenging, but this is what you expect and hope for. You learn easy games to help make learning more complicated games an enjoyable and easier experience. I’m a big fan of the “crawl-walk-run” method of learning, where complexity and required skill proficiency is increased over a measured amount of time. I’d put Monster Café somewhere between the “crawl” and the “walk” due to the surprisingly strategic thinking a player must use to score big points. I’m very pleased with Monster Café as a Parent Geek and have enjoyed my time with it. My little geeks have enjoyed it enough to want to make it part of their permanent collection. I expect I will see the game again when it’s my little geeks’ turn to pick a game for us to play as a family. When they do, I most certainly won’t be unhappy to play it. It’s a game I enjoy taking a bite out of, but I’d be lying if I said it didn’t leave me monstrously hungry for more. Tagged Card Games, Parent Geek Approved. Bookmark the permalink.